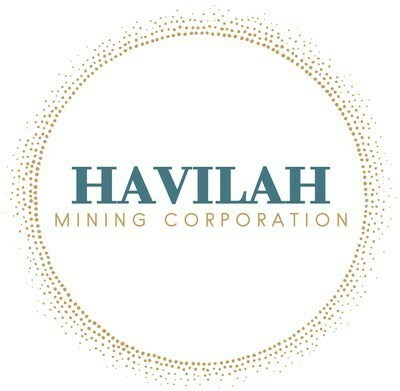 TORONTO, March 21, 2019 /CNW/ - Havilah Mining Corporation ("Havilah" or the "Company") (TSXV: HMC) is pleased to announce that it has closed a non-brokered private placement (the "Private Placement") for aggregate gross proceeds of $20,000. A director of the Company purchased 100% of the Private Placement. The Private Placement consisted of 66,667 units of the Company ("Units"), with each Unit comprised of one common share of the Company ("Common Share") and one-half of one Common Share purchase warrant (each whole Common Share purchase warrant, a "Warrant"), at a price of $0.30 per Unit. Each Warrant entitles the holder thereof to purchase one additional Common Share at a price of $0.50 per Common Share until September 19, 2021. Certain insiders of the Company (within the meaning of the rules and policies of the TSX Venture Exchange ("TSXV") have purchased Units under the Private Placement. The participation of the insider in the Private Placement constitutes a "related party transaction" within the meaning of TSXV Policy 5.9 and Multilateral Instrument 61-101 – Protection of Minority Security Holders in Special Transactions ("MI 61-101"). The Company is relying on exemptions from the formal valuation and minority security holder approval requirements set out in sections 5.5(a) and 5.7(1)(a) of MI 61-101 as the fair market value of the subject matter of the Private Placement does not exceed 25% of the market capitalization of the Company as calculated in accordance with MI 61-101. The Common Shares and Warrants that comprise the Units (as well as any Common Shares issued upon exercise of the Warrants) are subject to hold period of four months under applicable securities legislation and the rules and policies of the TSXV which will expire on July 22, 2019. The Private Placement remains subject to final acceptance of the TSXV. The Company announces that a total of 140,000 restricted share units ("RSUs") have been granted to a director and officers in respect of their 2018 performance. The RSUs vest as to one-third upon approval of the Company's shareholders of the RSU plan at the 2019 Annual General Meeting and one-third after the first and second anniversaries from the effective date of the grant. Forward-looking statements involve known and unknown risks, future events, conditions, uncertainties and other factors which may cause the actual results, performance or achievements to be materially different from any future results, prediction, projection, forecast, performance or achievements expressed or implied by the forward-looking statements. All statements that address expectations or projections about the future, including but not limited to, statements about the proposed Offering and use of proceeds therefrom, reliance on exemptions from requirements of MI 61-101 and contemplated approvals of the TSXV, are forward-looking statements. Although Havilah has attempted to identify important factors that could cause actual actions, events or results to differ materially from those described in forward-looking statements, there may be other factors that cause actions, events or results not to be as anticipated, estimated or intended. There can be no assurance that forward-looking statements will prove to be accurate, as actual results and future events could differ materially from those anticipated in such statements. Accordingly, readers should not place undue reliance on forward-looking statements.